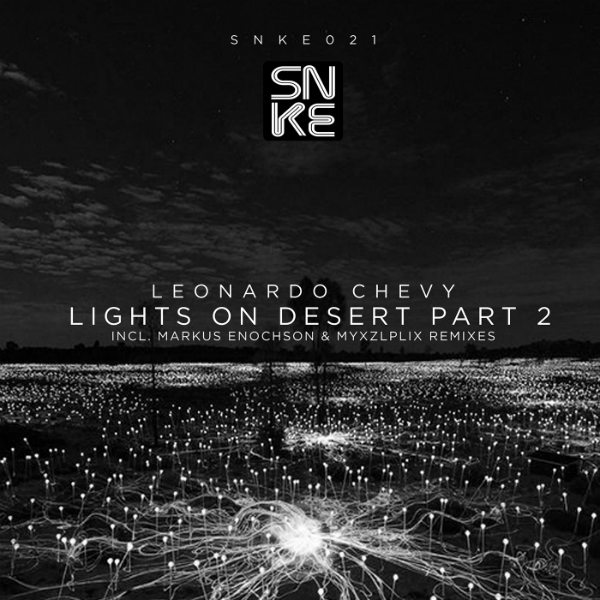 We love our artist Leonardo so much that he proposes another of his magnificent productions, in this case "Lights On Desert", remixed by the great Markus Enochson and another great of our artist Myxzlplix.The vision of Enochson has a dirty groove but certainly impact on large dance floors. The impressive electronic bass creates an agitated totally devastating snowball effect. The disc does not spring until the central break, characterized by an insane voice that restores the energy of the song. A real freight train. "Throbbing" remixed by Myxzlplix has a tech draft with very refined sounds. Skilfully designed and composed electronic synths create a hypnotic atmosphere, firmly keeping the pace for the full evening. Another second part to keep an eye on.